Medway Queen’s hull was in a poor state when she arrived back in Kent in 1984. Despite considerable amounts of work by the society’s volunteers the decay continued throughout her years at Damhead Creek. The rate of decay was slowed and the ship was kept afloat but gradually the corrosion spread and the effort needed to keep her afloat increased. Successive applications for grants were made. The first was to the Heritage Memorial Fund, in 1998 and then to the Heritage Lottery Fund (HLF) in 2003; prepared by Waverley Excursions Ltd. who had been recommended by HLF. This was for about £6M to cover restoration and the first year in service. The bid was made at the very competitive national level and was unsuccessful. It was swiftly followed by an application to the South East Region of the HLF when their chairman expressed a willingness to help on a Radio Kent news show. In 2005 a grant of £35000 was made by the HLF towards developing a bid for rebuilding the hull. This last bid was successful and an award of £1.86M was made in June 2006. The re-built hull was to be historically accurate to the 1924 design using riveted construction. 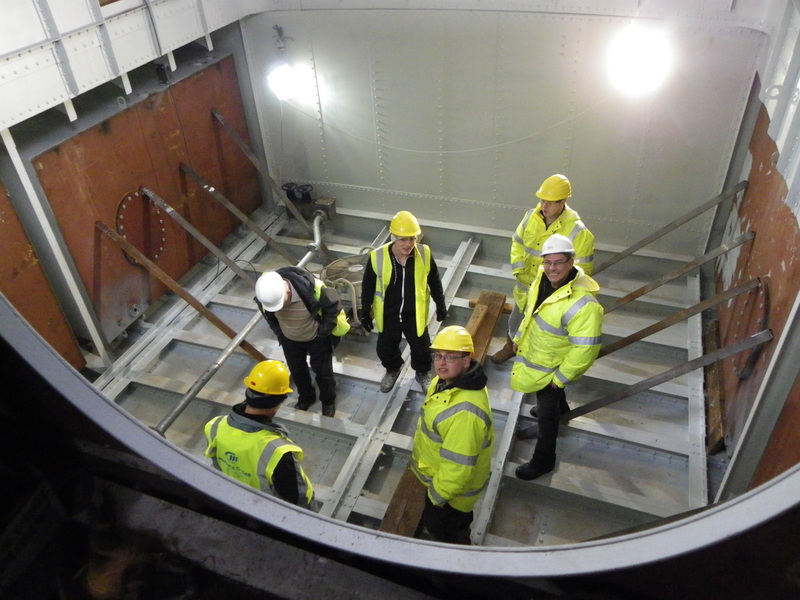 Marine consultants advised the society that the existing hull was too fragile to tow or lift onto a pontoon. Therefore the decision was reluctantly taken to dismantle the ship at Damhead Creek and to deliver re-usable material as required for the rebuild by road. 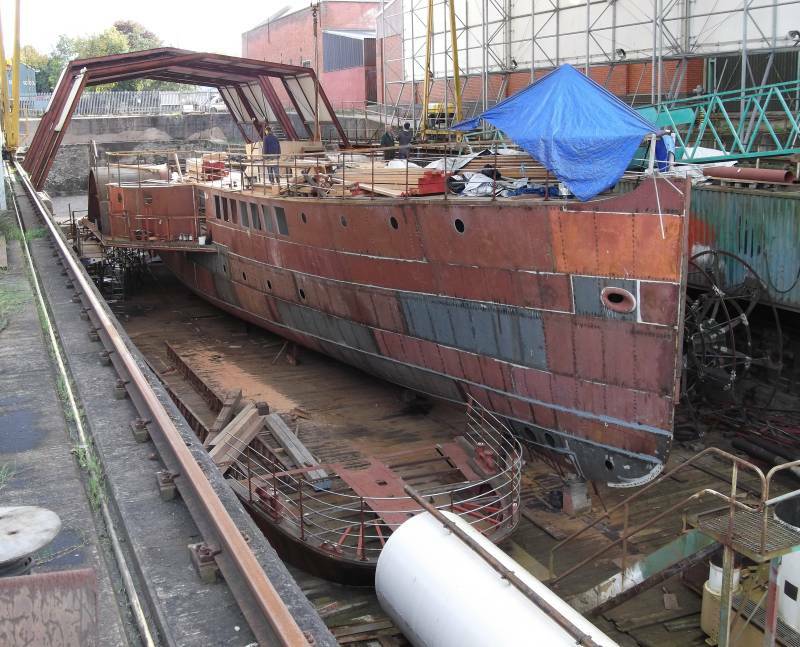 Every part of the ship was listed, numbered and photographed as part of the HLF project before dismantling and transportation to Bristol. The question of how to rebuild Medway Queen and how to use her afterwards has caused much debate since the society was founded. 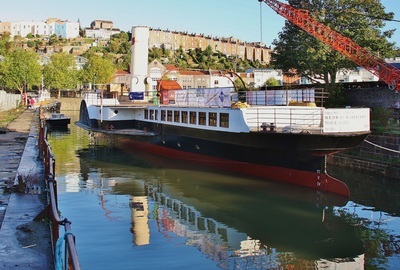 Should she cruise as another “Waverley” or be a more modest river trip boat? What about a static restaurant and Dunkirk Museum? All have merit but the final constraints will be financial and dependent on a Maritime and Coastguard Agency license. By the time Medway Queen is ready to move under her own power the financial situation may have changed completely. Fuel price is a dominant factor and continuing subsidy is likely to be needed. The ship will be restored to full working order and short trips and demonstration runs will be part of the plan. 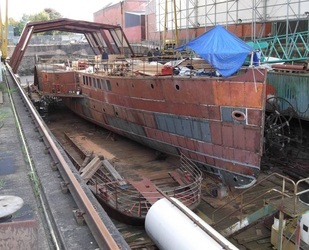 This meets the heritage requirements and charitable objectives of the New Medway Steam Packet Company more exactly than rebuilding to revised specifications would have done. 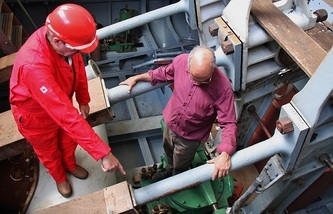 A contract was signed with David Abels of Bristol in October 2008 to rebuild the hull. The contract was later transferred to his company; Albion Dockyard Ltd. Abels’ yard is based at the Albion Dry Dock near the SS Great Britain in Bristol and was once part of the Charles Hill Shipyard. 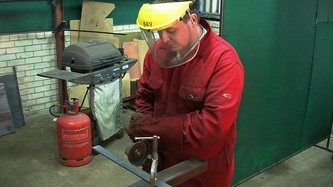 Work began immediately; preparing working drawings from the originals and starting to build bulkheads in the workshops. Another ship occupied the dock and it wasn’t until autumn 2009 that construction commenced there. An open Day was held in Bristol on 6th June 2009. By then the forward end keel and frame floors had been assembled, ready for lifting into the dock. The Albion Dockyard used traditional methods and has incorporated as much as possible of the original ship’s material. The consultants estimated that the restoration would contain 60-65% original material including the engine. Concessions to modern methods were made, cutting out hull plates using a CNC profiling machine guided by the office computer. Also by hydraulically squeezing the rivets instead of using pneumatic hammers. 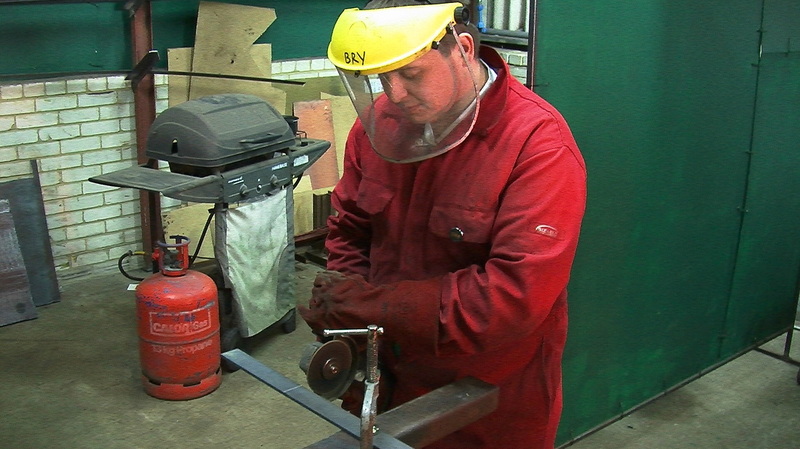 The hydraulic system is quieter and produces a more repeatable, high quality, joint. The internal joints on bulkheads etc. use round head rivets but the hull plating is "flush rivetted" which requires a countersunk head on the outside. The hydraulic method has a slow squeezing action which can result in the countersunk end being improperly formed. To avoid this countersunk head rivets were inserted from the outside and a round head was formed on the inside of the hull. In 2010 the society obtained support from the European Development Fund as part of the Interreg IVA "Heroes of the Two Seas and Heroes to See" project. This partnership of three maritime preservation organisations aims to increase cross border cooperation in job creation, tourism and maritime heritage awareness. The other partners are the shipbuilding and training organisation de Steenschuit in Belgian Flanders and the Association Tourville in France. A site was leased from Medway Council on Gillingham Pier early in 2011; initially for 2 years but later extended. An existing building on the site has been refurbished for use as an apprentice training facility. 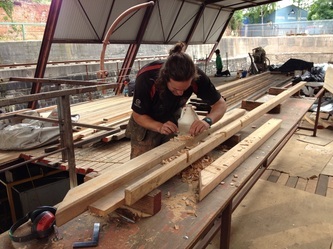 A team of instructors and apprentices have worked there preparing parts for the ship which have mostly been taken to Bristol by road for installation. The apprentices were students of Mid Kent College and their training was supported by technical expertise from the GMB Union. 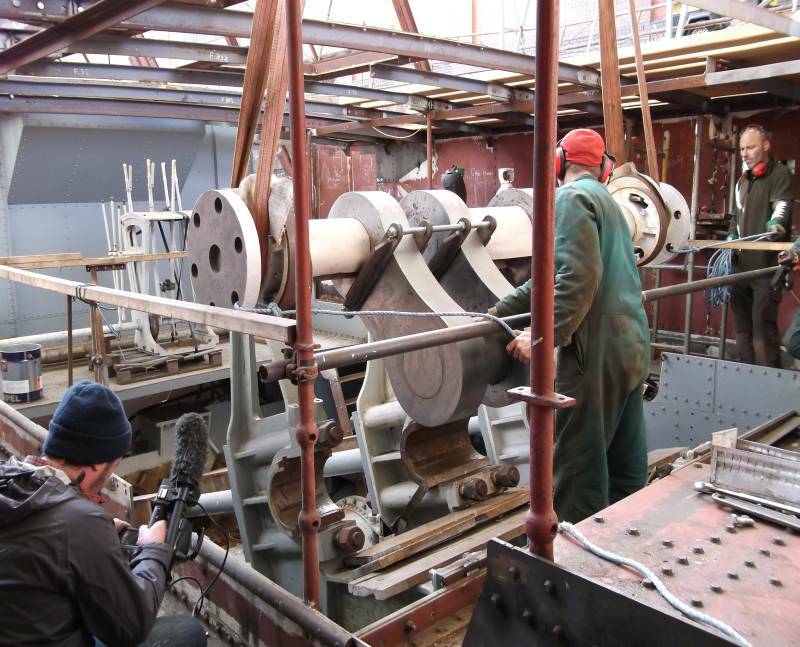 The main purpose of the Gillingham workshops is to complete restoration of the ship to working order. Machinery needs final assembly and adjustment, panelling and fittings, electrical and plumbing services are required and most of that will have to be purpose built. As the project evolves into 2014 the volunteer input in the workshops is expected to increase and the society will diversify into running what is hoped will become a popular tourist attraction. 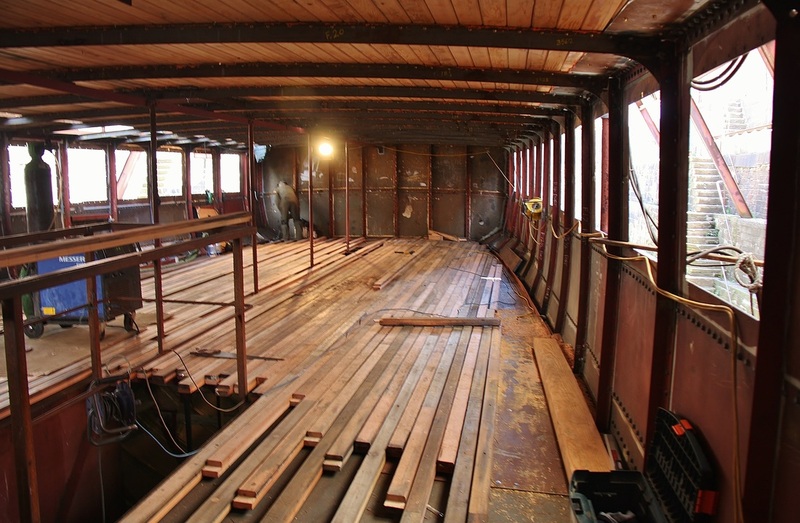 The hull has now been re-built to the 1924 specification with some concessions to current requirements and the ship will be restored to her pre-war condition. This was celebrated at the dockyard with a re-dedication event on 27th July 2013. The ship was towed out of the Albion dry dock on 24th of October and moored up in Bristol’s Floating Harbour. A week later she was moved down to Avonmouth where she then waited with her tug for a 48 hour calm weather window to start her long journey home. Conditions were right at last on Friday 15th November and Alan Pratt's tug, Christine, with PS Medway Queen in tow left Avonmouth in the afternoon for Gillingham Pier. The first available safe harbour was Falmouth, which was the reason for a 48 hour calm weather requirement, but in the event the journey was completed non-stop; arriving off Sheerness on Monday 18th November. Here they waited again for the tide and the completion of safety preparations on the quayside at Gillingham Pier. On Tuesday 19th the Christine completed the last stage of the journey to Gillingham. A flotilla of small boats joined in as she came up river including one of the Dunkirk "Little Ships". The tug Svitzer Harty also took part, saluting Medway Queen with water jets as she reached Gillingham Pier. There, with the assistance of a smaller vessel, Nipashore, Medway Queen was eased into her berth at the Pier. She arrived right on schedule at 13.30. Hundreds of people lined those areas of the pier where they could safely watch and more crowded onto the nearby Strand and other vantage points to observe the proceedings despite the cold weather. 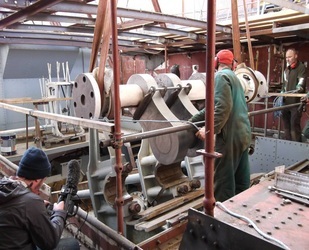 The work carried out so far has only been possible with significant support from the Heritage Lottery Fund and the European Regional Development Fund. This phase is now completed and the Medway Queen Preservation Society has to raise considerable amounts of money to complete the restoration.